Ryan Quinn: So, I’m here with Mitchell Cushman! The 2013 Paprika Festival is well underway. We’ve been hearing some exciting things about the new work being presented and expansive programming this year. Would you like to tell me a bit about the festival as a whole and what your role as Director of Artistic Programs means for the process? Mitchell Cushman: Sure. The Paprika Festival is currently in its twelfth year of operations. I was actually in the second year as a participant, when the festival was a much smaller thing. Back then, there were just three programs going on, there was no mentorship, no auxiliary. Most of the aspects that make Paprika what it is now have come along in the past four or five years under the artistic production of Rob Kempson. He’s in his fourth and final year with the festival. He’s really expanded Paprika, so as opposed to it being a festival that happens once a year, there’s also eight months of programming leading up to it. There are now seven productions, which function at a distance from the festival. We select them all but then they rehearse on their own. It’s also a juried festival. We collect applications from high school and university students for shows, pick the ones we’re most excited about, and then offer mentor support, pairing each group with a professional artist who works with them over the year. Finally we give them a great place to present their pieces, the Tarragon extra space. Aside from that, we also offer two weekly programs; the Creators’ Unit and the Resident Company. Those are both groups that people apply to as individuals, we then create ensembles through those applications, then we pair them up with professional mentors as directors and facilitators. We have a playwright-in-residence program, whose individual plays will culminate in readings during the festival. We’re also offering mini-mentorships, which is kind of a junior version of that. We also have an Olde Spice program for people over 21. Our cutoff age for Paprika is usually 21, but this is more of an alumni program for people who’ve worked with us previously, and now we’re supporting their later work. There’s also one more program that’s new this year called the Advisory Board, that’s a steering committee of people between the ages of 14 and 25 who are interested in producing. They’ve been involved with the production of the festival. They’re running our studio cabaret late night series, so every night after the festival, there is some fantastic late-night programming courtesy of the advisory board. R: So the festival seems to really help young artists trying to break into any aspect of production. M: Absolutely. I think that’s the exciting way the festival has expanded, by really offering mentorship opportunities to people in every area, as you say. 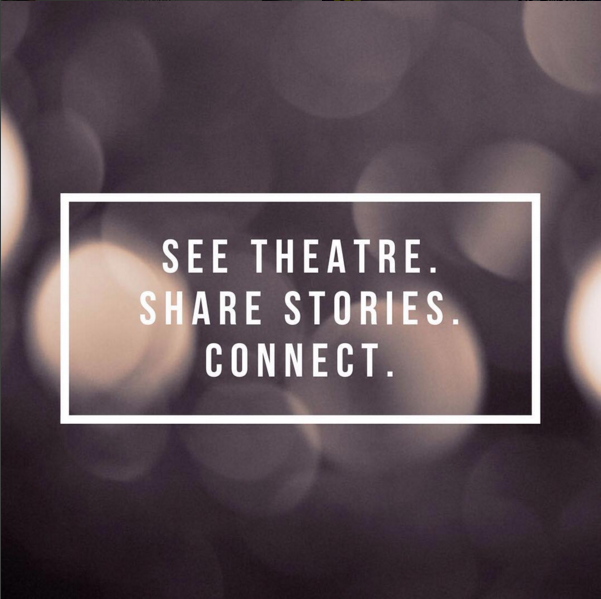 I think the festival really stands out because all of our productions are application-based and juried, so as much as it is a training program, we truly believe in the excellence we’re putting forward on stage as well. We look at it as “What’s the highest quality work we can present?”. R: How does the experience change, then, when working with young people as opposed to working with people who’ve been in the theatre a longer time? M: I think you get surprised more often. I mean, the fact that they’re fresh and new, and yet we’re blown away by the work they do. Especially this year, I think it’s the strongest year for Paprika. Everyone is coming from these places…I really feel like there are some strong new voices at work. There’s a fantastic piece being presented called This Play is Like, and on the surface it’s a play about a peanut allergy, but it’s really about how people can be allergic to their environments. It has a whole narrative shadow puppet show that compliments the main story. It’s one of the things that really blew me away when we were looking at all of the works this year. R: As you mentioned before, the festival is expanding and adding new programs every year, gaining notoriety. Ideally, in ten years, what would the festival look like? M: There are things that we’re doing in a small way now, that if we had the resources, we’d love to do in a bigger way for the future. Last year we hosted a school, where some of the productions went to schools and actually played for them, which was a perfect fit because they were playing to their peers. We’d love to do that in a bigger way and go to more schools. We’d also love to increase our outreach. Most of our participants hear about us through their schools but there are more and more who don’t. We’ve also talked about the idea of reaching out to other cities. For the first time this year, we have a group from out of the city, from Ottawa, who have been commuting in from there, if you can believe that! So, we love the idea of Paprika festivals in other places in Ontario, or even further, that we could partner with. R: That sounds amazing. Well, thanks so much for your time and break a leg with this last week of Paprika! The 12 Annual Paprika Festival runs March 27th – April 6th at the Tarragon Theatre Extra Space. For tickets go to the Tarragon Theatre website. Shows have been selling out so catch them while you can!